Tabnabbing exploits tabbed browser system in modern web browsers such as Firefox and Internet Explorer, making users believe they are viewing a familiar web page such as Gmail, Hotmail or Facebook. Cybercriminals can then steal the logins and passwords when users enter them on the these hoax pages. According to Panda's latest Quarterly Report on IT Threats, the technique is likely to be employed by more and more cybercriminals and users should close all tabs they are not actively using. Panda also revealed the number of Trojans being used on the web has surged, and they now account for just under 52 percent of all malware. The number of viruses on the web has also increased. 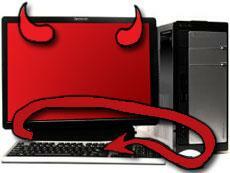 Viruses account for 24 percent of all malware on the web. The security firm said Taiwan had the most number of infection, with just over 50 percent of all global malware infections happening in the country, while Russia and Turkey came close behind. Panda also revealed attacks on social networks, fake antivirus software and poisoned links in search engines continued to be popular techniques used by cyber criminals. See also: Explained: What is 'tabnapping'?